The title "Sing the Moon Down" has been kicking around in my head for some time now, waiting to be claimed by just the right idea. 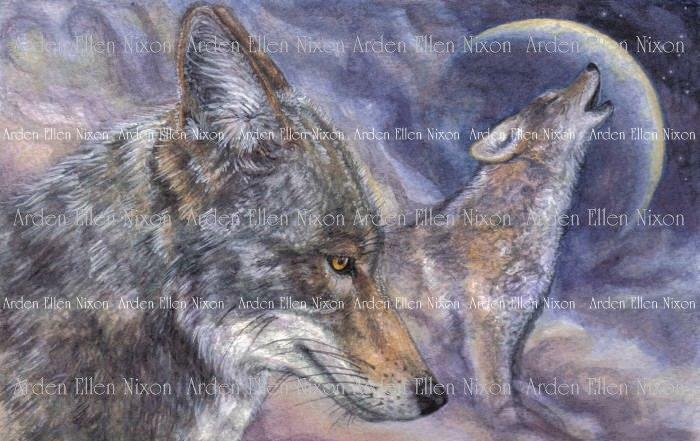 While I was searching for coyote reference photos for the commission "Coyote Moon," I came across an image of a lone coyote, its head down and its ears back, eyes lost in the distance, the past and the future. The moon may wax and wane, but the serenade will go on.